Soft boiling eggs is a pain. They are tough to peel! Reacting to these two realities, I came up with this dish. 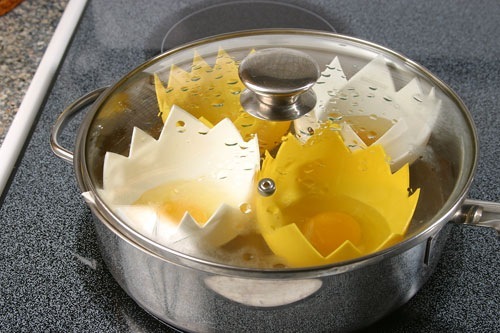 Instead of soft-boiling the eggs, I poached them. 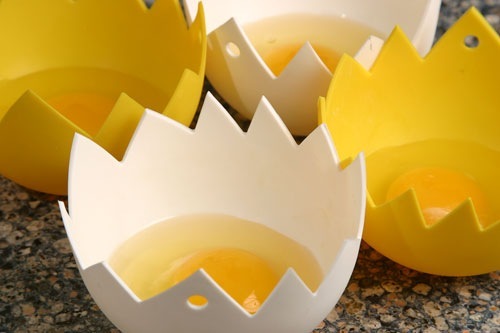 We got these great egg poachers from Lamson & Goodnow, an amazing knife (and other thing) maker from Western MA. The poachers are easy to use and more importantly, easy to handled. To use you simply give the insides a quick rub with butter, add an egg and then lower into a simmering pan of water; cover and then cook for 5 minutes. I like to add a little paprika for flavor and color. For the salad I simply tossed the greens with some of the dressing. 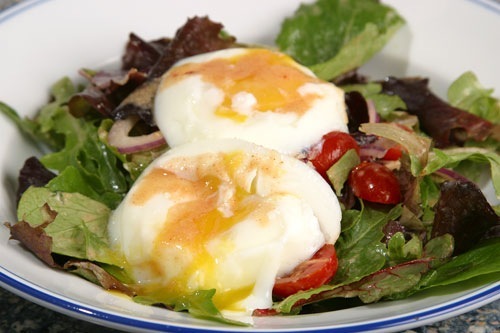 I then dished the salad, added an egg to each dish and then poured the remaining dressing on top of the egg. Combine the tahini, miso, lemon juice, serrano and water in a small saucepan. Simmer gently over medium-low heat for 5 minutes, whisking to dissolve the miso. Allow the dressing to cool slightly before adding to the salad. 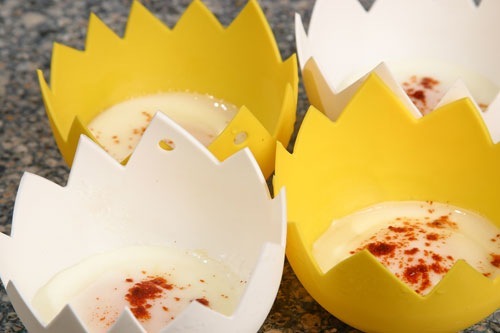 What a great recipe and I’m in love with the little egg cups.